In the 54 years since Turkey applied to join the EU, relations have endured several political and military crises. 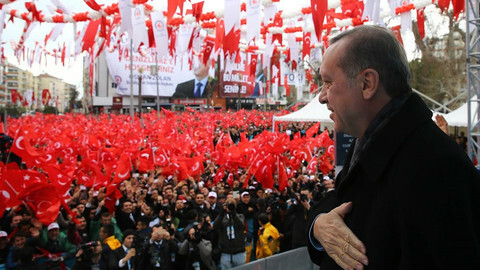 But the rocky relationship has recently taken its deepest dive following the April referendum that granted unprecedented authority to president Recep Tayyip Erdogan - replacing the parliamentary system for a powerful presidential regime. The referendum brought with it changes to the constitution, which rights groups claimed undermined checks and balances, destroyed the separation of powers, as well as transparency in governance. 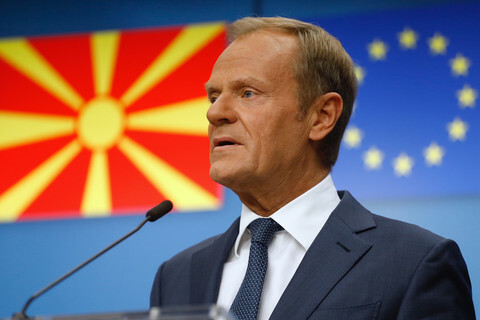 In response, strongly-worded criticisms came from the EU, for which the post-referendum changes are still regarded as deal breakers in the already crippled accession talks. 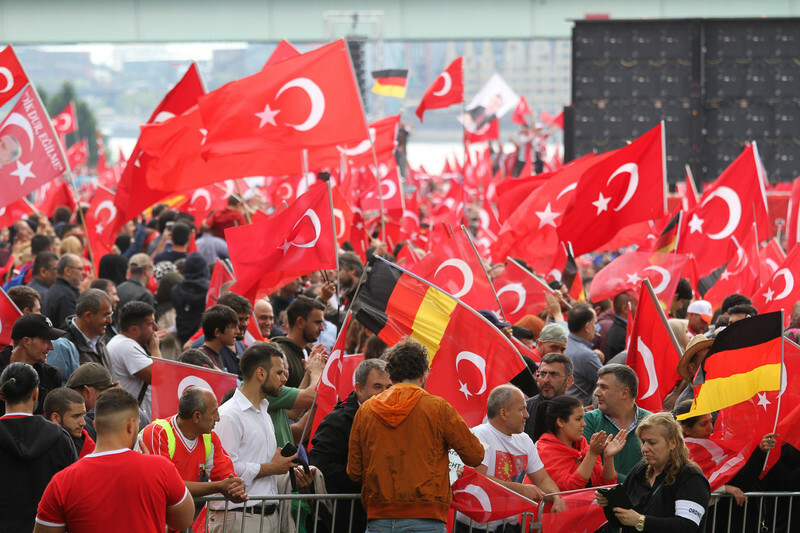 The salvos between Ankara and Brussels, which peaked with president Erdogan’s Nazi jibes, were initially seen as a bait for nationalist voters and expected to fade after the referendum. However, the exchanges regained pace as the president on Tuesday threatened to wave “goodbye” to the bloc unless the accession process resumed. His words came days after Johannes Hahn, EU commissioner for enlargement, speaking to Reuters, said that Turkey under Erdogan had turned its back on the EU and added, “everybody's clear that, currently at least, Turkey is moving away from a European perspective." 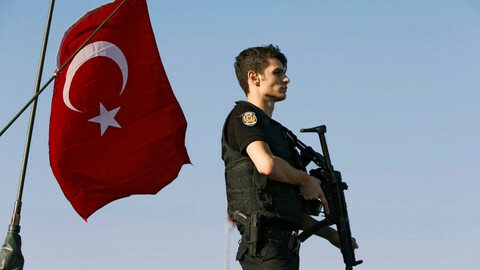 At the heart of the EU’s criticism lies Turkey’s increasingly deteriorating human rights record, with more than 140,000 public servants being purged. Additionally, nearly 1,500 civil groups were shut down, along with the closure of 150 media organisations. Some 40,000 people were also arrested for alleged links to Fethullah Gulen, the US-based Muslim cleric who is accused of masterminding the attempted coup in July 2016. The Turkish government insists that its actions are in proportion with the size of the threat and it rebuffs allegations that it led a witch-hunt against dissidents, many of whom, opponents say, had no links with the Gulen network. Yet, they were targeted in security operations under the current emergency rule. Erdogan’s razor-thin win in the April referendum was another thorny issue. Monitors from the Organization for Security and Cooperation in Europe (OSCE) said the vote took place on an "unlevelled playing field" with opposition voices muzzled and last-minute regulatory changes on disputed ballot papers. The report was labelled as a politically driven analysis and further fuelled president Erdogan’s fury at the EU, until Federica Mogherini, the EU’s high representative for foreign affairs and security policy, recently said that they "respected the result of the referendum”, and that accession talks could resume if Turkey met the conditions. 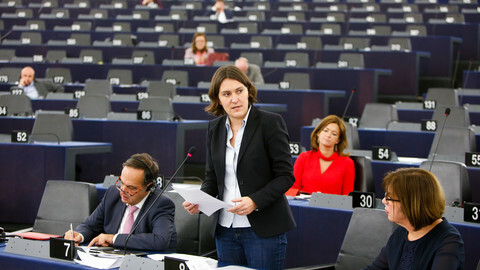 Speaking after the EU foreign ministers’ meeting in Valletta, Malta, in late April, Mogherini’s words contradicted an earlier position of EU lawmakers, who sought to halt talks with Ankara. However, for some analysts, the comments seemed to aim at easing tension before a new form of cooperation. “The EU seems convinced that the relations with Turkey should be redefined in a form except full accession,” said Cengiz Aktar, a political analyst on EU relations. Some EU member states such as Germany still favour a special status for Turkey rather than full membership - based on stronger economic cooperation. "We don’t want to close the door on Turkey; a customs union, for example, maybe that can be expanded,” said Manfred Weber, a German MEP and the head of centre-right EPP, the largest political group in the European Parliament. “Maybe more economic cooperation, maybe we open our doors to students," he added. European doors to illegal migrants, however, remain firmly shut, following a deal Ankara signed with the EU in March 2016 to contain 3 million Syrian refugees, as well as other irregular travellers. This was in return for a relaxed visa regime for Turkish nationals and 6 billion euros in financial assistance. The agreement, analysts say, is the strongest bargaining chip for Ankara to maintain profitable ties with the EU, in light of the fears over a massive immigrant flow from Turkey’s southern borders with Syria and Iraq, which had perplexed European leaders. Upcoming elections in France and Germany are dominated by issues of illegal immigration, Muslim minorities and the threat of extremist terror, and these only add more substance to the deal. Historically, strong economic ties are equally difficult to sacrifice. This is especially the case, since the value of trade between the EU and Turkey currently amounts to €140 billion per year, while the EU generates two-thirds of foreign direct investment in Turkey, the EU’s fifth-largest partner in trade in goods. Democratic shortcomings in Turkey - where 120 journalists as well as academics, politicians and artists remain in jail - would be of lesser concern, compared to enhancing economic relations, some claim. “The EU also establishes ties with Russia or Ukraine and has member states with questionable democracies,” said Ilter Turan, a professor of political science at Istanbul Bilgi University. “The bloc, in its practices, has pretty much established a separation between political performances which lead to full membership and trade relations. It expects dedication to democratic principles only from the candidate states,” he said. A new era in relations was echoed in a written statement by the European Commission, months before the April referendum in Turkey. In December, the EU's executive body requested “a mandate to launch talks with Turkey to modernise the existing 20-year-old customs union” to “bring substantial economic benefits for both partners”, with a brief reference to the respect of democracy. Many expect details of a new framework for relations to surface in the meeting between Erdogan and the EU’s two top leaders – EU commission president Jean-Claude Juncker and European Council president Donald Tusk – on 25 May in Brussels, after a NATO summit. Statements that are critical of the EU, up until then, should be regarded as Ankara’s rightful opposition, not as a preemptive attack against the bloc that Turkey still aspired to join, some government party politicians say. “Both sides need each other but never at the expense of Turkey’s independence or rightful opposition,” said Yasin Aktay, the deputy chairman of Turkey's ruling Justice and Development Party, as he underlined the dramatic decline in the EU's popularity at home because of the bloc’s unfair treatment of the country. “Whatever comes to the table, we’ll look out for Turkey’s interests, calculate our gains and losses. We have no an intention to remain in the EU at all costs or sacrifice ourselves for the bloc,” he added. Turkey refuses to tighten its comprehensive anti-terrorism law, which the EU set as a precondition for visa-free travel for Turks. The country also demands €6 billion to be delivered, as promised in the 2016 migrant deal, and expects new chapters to be opened in the EU accession talks. 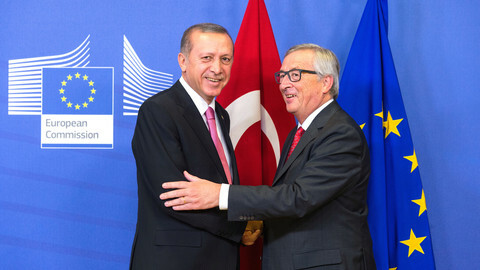 Whatever came out of Erdogan’s meetings with EU officials, his regime ultimately aimed to “de-Westernise Turkey,” and, along with that, loosening ties with the EU was one of the many phases, Aktar claimed. 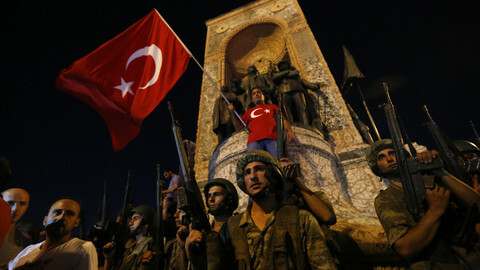 “In a deeper stream, Turkey is being de-Westernised by the Erdogan regime, as it tries to revert a 200-year long process,” Aktar said, in reference to Ottoman attempts to align with the West, long before the Turkish Republic was founded. He added that: “The effort is visible in education, civil law or on the street, in human relations, as well as in rifts with Europe and its institutions." For the Erdogan regime, being part of the bloc is irrelevant when it comes to democratic and economic advancement. And as for strategic alliances, Ankara, especially in meetings with Russia and China, signals that Europe is not the only option. 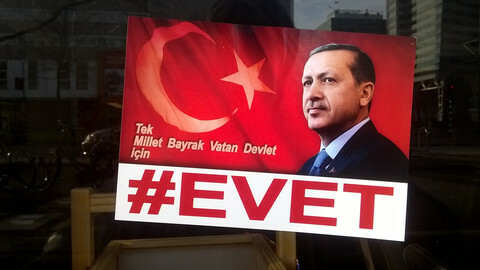 “At the end of the day, it is important for Turkey to see her options and discover her potential. She is by no means desperate,” Aktay argued. The official end of Turkey's EU accession negotiations seems not to be a question of 'if', but instead 'when'.